xpria zr:-(, 30 Dec 2013Hi guys. I am using xperia ZR in less than a month..is there anything I can do to prevent the... morethe reason why your flaps opens on itself because you are opening the ports the wrong way..
Did anyone update the android to 4.3.3? How is it? Does it get heavy? The update size is 280mb, is it worthy to update? I am using xperia ZR in less than a month..is there anything I can do to prevent the side cover for usb port from opening. It pops by itself in just a minute after I closed it..
Bought it 2 months back& m using it in extreme site conditions. This is awesome mobile with good specifications(quad core+ 2GB RAM). Heats up easily. Gaming is appreciable. Is it good for gaming...? i need to know that . this phone supports MKV & 1080p videos ???? I bought this phone for about 2 months ago, i like the features and of course the specs. I use it until now and found it useful enough for my daily use of a smartphone. Beside, i like the size, adequate battery life and the size that is not too big with the extra water and dust resistant, it makes me simply take my ZR everywhere i go. Edit: Sorry, did not read above the chart about single theaded nature of the benchmark. I have read few comments on the heating problem of Sony Xperia mobile. 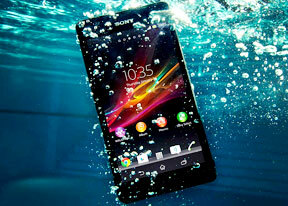 I was very much interested to buy Xperia ZR mobile due to its awesome feature and look. I thought to have hands on test on this mobile, before buying it. I went to the Sony Store and played some songs for at least 2 mins in Speaker mode and socked. The phone's upper part (Near the speaker Area) was started heating. I thought to use an earphone in order to see if the heating problem still persist or not, but unfortunately it was increasing. Then I did the same experiment on Xperia ZL and Z, both are disappointing and heating as the same way as ZR. Sony should think about it and remediate this issue ASAP as we customers are paying a premium price and we expect best out of it.